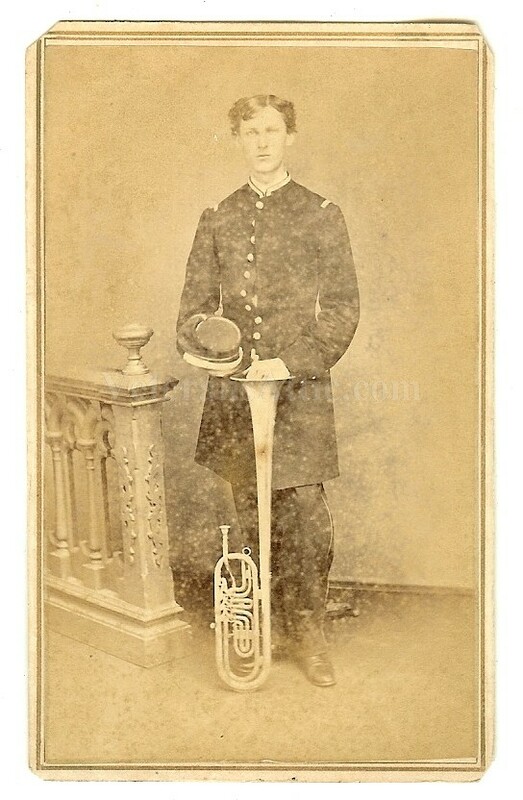 A nice full standing photograph of an Indiana soldier holding his kepi and a saxhorn. 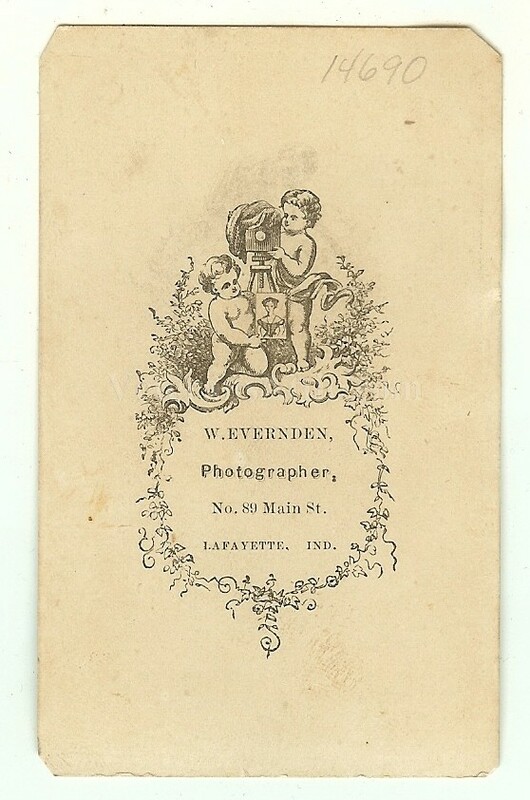 The backmark on the image is "W.Evernden, Photographer, No. 89 Main St. Lafayette, Ind.". A nice band member photograph.